As winter comes upon us and many fruits and vegetables go out of season, eating healthy meals with fresh, local food can be hard. Luckily, there are still many seasonal root vegetables that can be used in delicious, affordable meals. 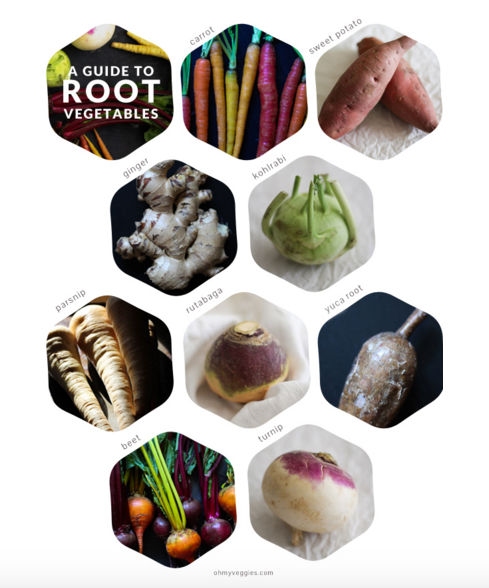 Because root vegetables grow underground, they absorb vitamins and nutrients from the soil, making them a healthy option. Some examples include carrots, onions, garlic, celery and beets. 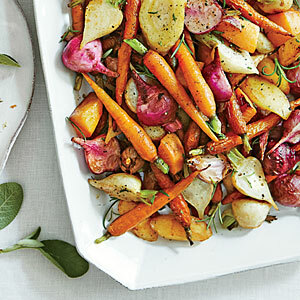 We have included our favorite recipes for cooking with root vegetables below. Stop by your local grocery store to pick and pick up a few veggies, or purchase a Growing Power Market Basket and receive a variety of homegrown produce. Each recipe is only 5 ingredients or less! Butternut squash are a common and healthy kind of squash to cook with. Begin by peeling the potatoes and squash. An easy way to peel squash is to cut off the top and bottom, poke holes around the squash using a fork, and microwave for 3-4 minutes. This softens the skin and makes it much easier to peel the otherwise very-hard skin. Make sure to remove the seeds from the squash once it is peeled and cut open. Cut the potatoes and squash into 2-3 square inch sections. Drain the water and let the vegetables dry by stirring them on medium heat for 2-3 minutes. In a smaller pan, melt 6 tablespoons of butter (a stick and a half), a cup of half-and-half or milk, salt and pepper, and garlic (if desired). Combine a cup of water and a cup or sugar (or less) in a saucepan and bring to boil so sugar dissolves. Place over mashed squash-potatoes and enjoy! Begin by peeling the beets, turnips, and carrots and cutting them into halves or quarters, depending on the size of the vegetable. Make sure they are cut into similarly sized pieces so they cook evenly. Place the vegetables in a bowl and add 2-3 tablespoons of vegetable or olive oil, 2-3 tablespoons of balsamic or red wine vinegar (if desired), salt, pepper, and sugar (to taste). Mix the vegetables and seasoning until they are evenly covered. After they are done cooking, glaze with a small amount of vinegar and honey for extra flavor (if desired). Begin by cutting the pumpkin into 2-inch sections and removing seeds. Peel an onion and cut into thin slices or dice if preferred. Combine in a bowl and cover with a half-cup or olive or vegetable oil and 2 teaspoons of salt. Place the pumpkin and onion on a baking sheet and roast in the oven for ~3o minutes. Rotate and toss vegetables halfway through. Let cool and remove the skins from the pumpkin by peeling off. Transfer to a pot and heat over medium heat. Add 2 cups of vegetable-based broth. 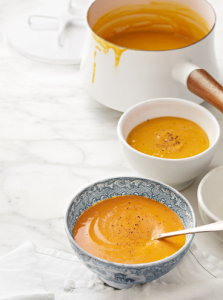 Puree the pumpkin with a whisk or blender. Slowly add another 3 cups of vegetable broth and simmer over medium heat. Continue to season with salt and pepper to taste and serve while hot. Place green beans in a large pan with 1/4 cup of water. Add salt, pepper, and other desired seasonings and enjoy! You can also easily add greens beans to the roasted root vegetable mix. 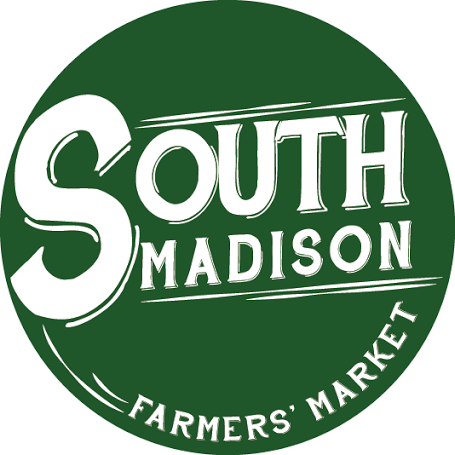 As always, feel free to reach out to the South Madison Farmers’ Market with any questions or to offer recipes of your own!